The best-selling geometric Rosette design takes its inspiration from a tradition Eastern Rosette pattern. Hand-drawn with the Sian Elin signature markings, it combines Eastern design with mid-century Scandinavian style. 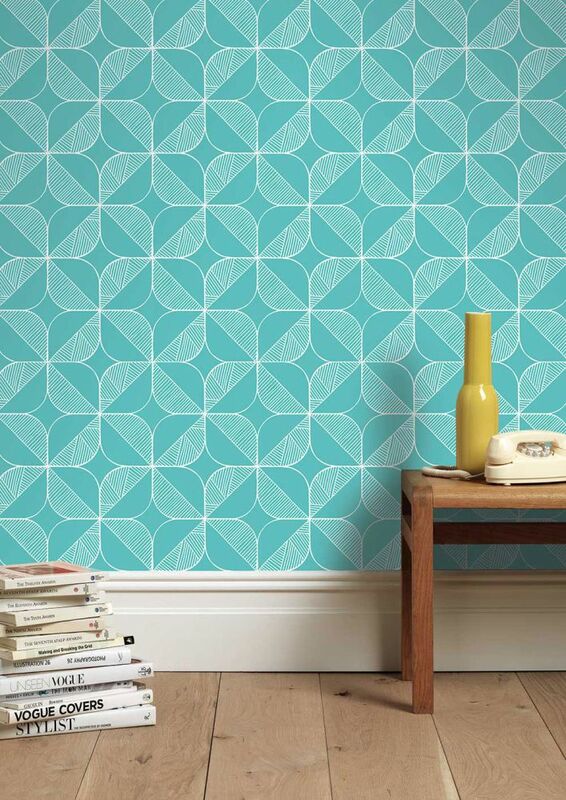 The turquoise geometric wallpaper can be used to create a really striking feature wall or to paper an entire room. Wallpaper is printed at a fourth generation English factory using water-based environmentally friendly inks, which are free from chemicals, fade proof, and wipeable. The paper is made from non-woven recycled materials - which means it is very strong and thick and less likely to tear.